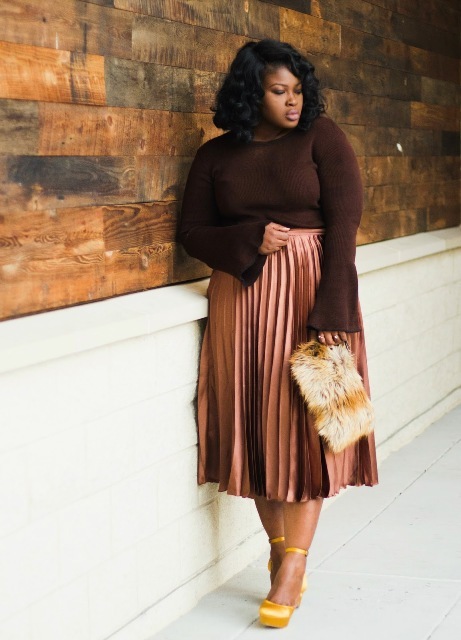 So we continue to show you stylish and awesome outfit ideas for spring days, and today let’s focus on one gorgeous type of skirts that will be good for any season but for the springtime it will be perfect. It’s a satin skirt. No doubt you know how satin pieces of clothes can add a special charm and make any outfit look more expensive. 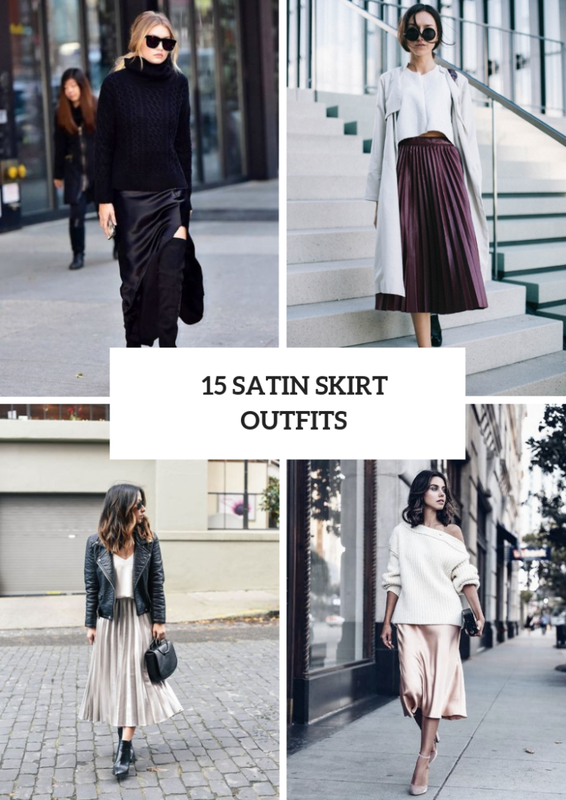 So I’m sure you need to find a perfect satin skirt to create a casual, party or even relaxed outfits. For more ideas you can scroll down. 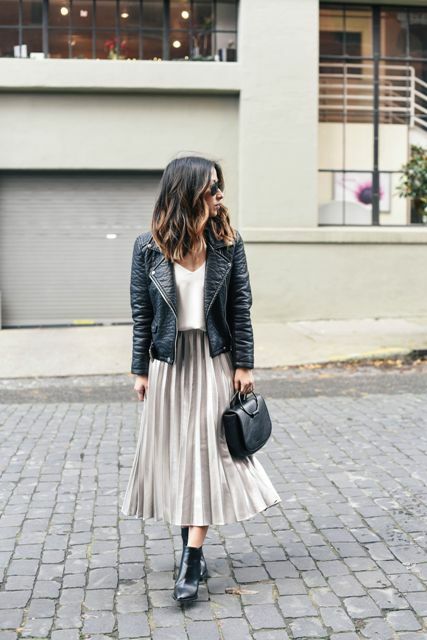 If you want to create a relaxed outfit, then you can take a labeled t-shirt and combine it with a pale pink satin maxi skirt and platform shoes. Or you can mix various styles in one look, for example, pairing a white hoodie sweatshirt with a printed satin A-line midi skirt, sunglasses, a small suede bag and black and white leather ankle boots. Wanna something casual but feminine? We have some ideas. First of all, you can try to repeat a combination with a white one shoulder loose sweater, a pale pink midi skirt, a clutch and beige ankle strap shoes. Secondly, you can choose a black or navy blue turtleneck sweater and mix it with a black satin maxi skirt with a slit, sunglasses, a black bag and black suede over the knee boots. And, thirdly, take a pale pink sweater and pair it with a white hat, a beige straight skirt, black leather flat shoes and a beige bag. Don’t be afraid of bright colors! Just take a marsala bomber jacket and combine it with a purple top, a beige pleated satin skirt, a black belt and black ankle boots. Or choose a red satin midi skirt and mix it with a black leather jacket, high heeled ankle boots and a black tote bag.